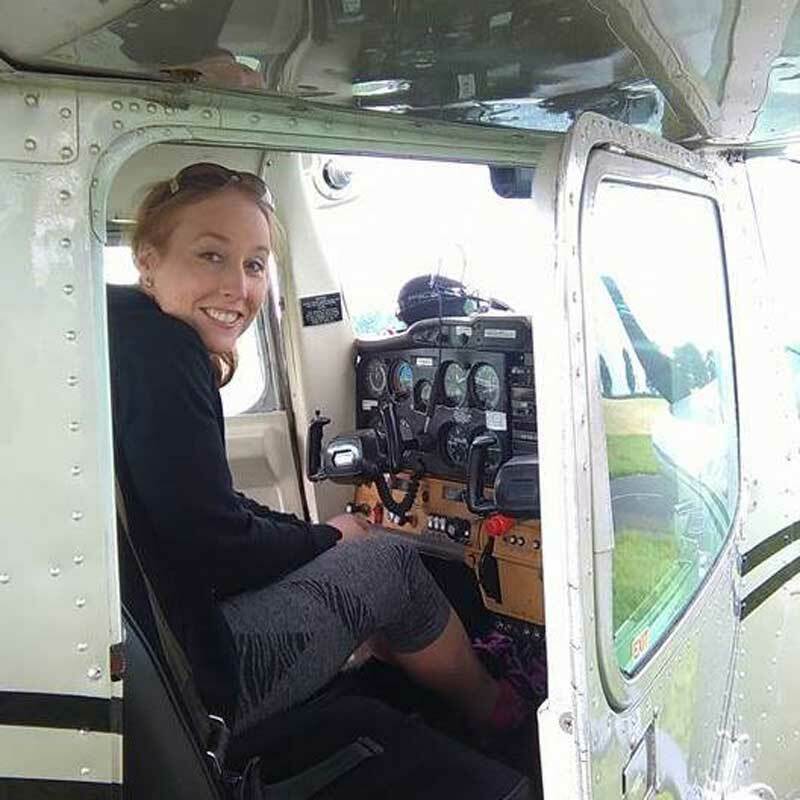 It took 38-year-old bicycle mechanic Aeryn Parsons two years and just over fifty flying hours to progress from her first trial lesson to passing her PPL(A) in December 2017. That was mainly due to Aeryn being on a “shoestring budget” so she “could only afford to fly once or twice a month”. 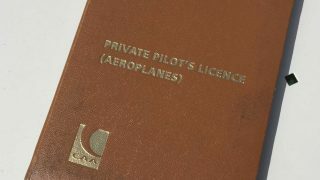 Aeryn’s perseverance certainly paid off and she’s now planning to get as much flying experience as she can, with a view to becoming a PPL instructor. 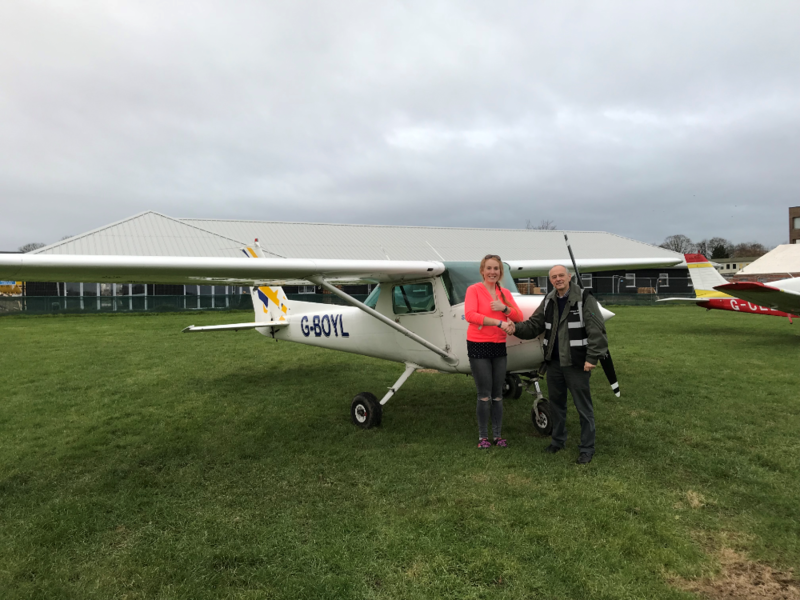 Aeryn chose to learn to fly at her local club, Redhill Aviation in Surrey, just a few miles north of London Gatwick Airport, near to both the London controlled airspace (CTA) and Biggin Hill Airport. Her first solo cross-country flight took place across this crowded region, and took her to Essex airfield Earls Colne, overhead Southend (with its Class D airspace), south to Lydd, and back to Redhill, talking to either Farnborough or Southend ATC the whole time. Says Aeryn, “It took a lot of planning and I made lots of notes to myself. 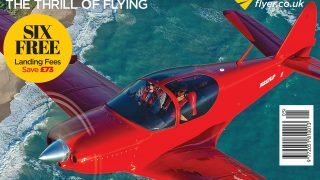 “Flying is something I’ve always wanted to do,” she reveals, “ever since my Dad bought me a balsa wood glider as a child. It’s taken me a while to get into a position to afford to learn to fly. 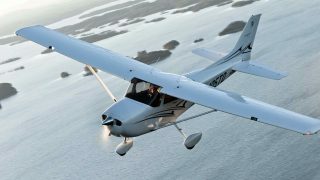 My first flight was in a Piper PA28 but most of my training has been in a Cessna C152 – G-BOYL is my favourite. 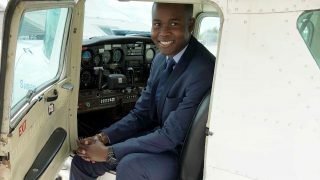 “My first solo flight was a bit of a watershed moment because I’d been struggling a little. It’s a bit of a cliche, but I did say to myself, ‘Oh my god, I’m on my own’. It was quite a stormy day so it was a case of waiting for a gap in the circuit between squalls.